Did you read our last post about our first impressions of Erasta AVM, Fethiye’s new shopping centre? Well, do you remember that bit where we said we were going again to take all in and have a proper look round…and I wanted to buy some shoes…and my opinion of Erasta could be skewed either way depending on whether I was successful in finding said shoes? I didn’t find any shoes! However, let’s not let my female shoe fussiness get in the way of our mooch around to see what Erasta has to offer. Because there were shoes in there to look at…just not shoes I wanted. It caused me to chunter on my Facebook profile and that lead to a few Erasta comments from Facebook friends – and those comments are going to influence this post in some way. Because, as we said in our last post, we do prefer markets and high street shopping. But we’ve not got kids – so it was nice to get an opinion from someone with a toddler. Someone who does her shopping with toddler in pram. She loves Erasta because it’s so easy for her to get around the shops – smooth marbled floors, wide doorways. Yeah, we can see her point. And just this morning, a Turkish friend of ours who has recently had twins posted a photo to Facebook. There she is in Erasta with double pram and a big grin on her face. Guess she likes it, too. Anyway, as you can see from the photo above, we made it upstairs this time. Upstairs, there are more shops but it’s also where you go to eat and where you go to entertain yourself. Picture the scene. You’ve come on holiday to Fethiye, wall to wall sunshine…and then the skies darken and the rain starts to pour. And Fethiye does do a good downpour if the mood so takes it. The kids are getting bored. What to do to keep everyone happy. Well, Erasta is probably going to come into its own for these very days. Ten pin bowling seems to be the indoor activity of choice in Fethiye. We’ve got Fethiye Bowling between the town and Çalış beach – and now we’ve also got Bowlingo on the first floor of Erasta. Bowlingo is full of bright colours, as you can see. And it’s not just bowling. There’s all sorts of little attractions for the real kids…and no doubt for the adults who are releasing their inner kid, too. And then there’s the cinema. Another rainy day activity. We didn’t look what films were showing – but Hayal Sineması in the centre of Fethiye often shows English language films with Turkish subtitles. If the cinema in Erasta is the same, well that’s gonna pass a couple of hours or so to keep you dry and entertained. and if there’s no English language option for you, Turkish comedies are always good for a giggle, even if you’ve not got a clue what anyone’s saying. As for feeding and watering holes, well you’re probably not going to be surprised to learn there is a famous burger place with the initials B and K. And it’s a food court with Turkish chains, too. A place called Tavuk Dünyası (Chicken World) is opening soon, there’s a Turkish grill place, kebabs and köfte. All the seating is in the centre – so if there’s a few of you, you can all order from different places but still sit together. If food courts are not your thing, downstairs, on the ground floor, there’s Kahve Dünyası with its yummy soğuk Türk Kahvesi. They have a food menu, too and there wasn’t a table to be had when we were there on Friday. There’s also a simit place and another eatery / coffee place. But what if you just get fed up of the whole shopping centre thing and ‘chainstore eateries’? There’s another little bonus for Turkish food lovers because Erasta is perfectly situated directly opposite a row of traditional Turkish lokantas serving all manner of lovely Turkish dishes at reasonable prices. And we’ve got to say, we do love us a good no-nonsense lokanta! You guys do a great job of giving details and options of what to do in Fethiye even in the rain. Love reading your blog. 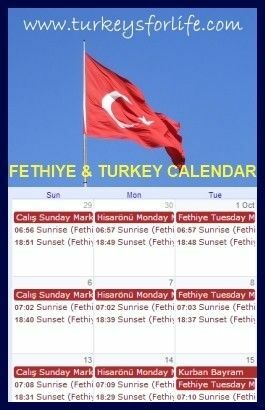 When and if I ever make it back to Turkey, I will be visiting Fethiye just because of you guys! Wow! The new mall looks really nice. Fethiye is coming up… You’re right — good for rainy days. Coming over to Fethiye next year, so can you tell me where this new mall is please?